Penrith coach Ivan Cleary has altered the club’s leadership group model after just five rounds and has installed James Tamou as the team’s permanent skipper. In February, Cleary announced that Tamou along with James Maloney, Isaah Yeo, Dallin Watene-Zelezniak, Josh Mansour and Nathan Cleary would form a leadership group to guide the team through the season. “We’ve taken our time to decide on this leadership model and this specific group of players to ensure we deliver what is best for the Panthers this season,” he said at the time. 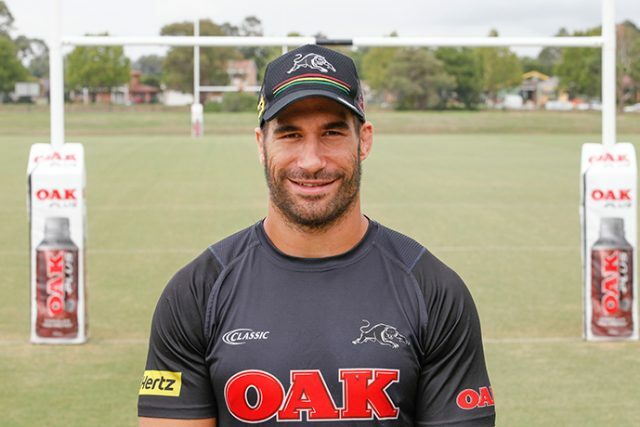 Today, the Panthers confirmed that Tamou would skipper Penrith for the rest of the season. “Following a period of consideration, James Tamou has emerged from the club’s six-man leadership group to be appointed Panthers captain for 2019,” the club said on social media. The club is adamant that the leadership group still exists, and it was always Cleary’s intention to promote one member of the group to skipper the side. The appointment of Tamou as captain is likely to feed rumours around the future of James Maloney, who remains contracted to Penrith until the end of next season. Despite the leadership group model, Maloney had been leading the Panthers out and engaging with the referee as captain over the first five rounds of the competition. Tamou, a premiership winner with the Cowboys, joined the Panthers in 2017. He has been one of the club’s best performers this season and had a strong finish to 2018. Penrith play Cronulla on Thursday night and are desperate to find good form, having lost three of their opening five matches.